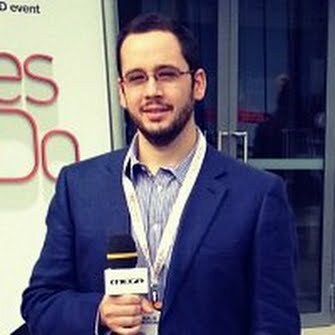 Vagelis Liakogkonas is greek speaking journalist based in Athina, Greece. Vagelis was born in Athens. He is a journalist, passionate about communications, new media, digital marketing and "addicted" to culture. Currently living in Athens and working as a journalist for ANT1 news and as an administrative editor for aixmi.gr. For the past 10 years he has worked as a Journalist (print, broadcast and online) for greek media groups of companies such as Liberis Publications, Mega Channel, Antenna TV & Internet. 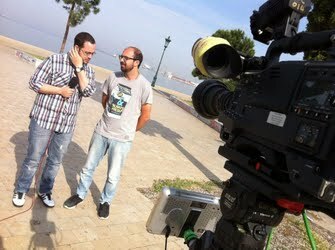 TEDx Thessaloniki @ Mega Tv Weekend News SHOW — at Aristotelous Square,Thessaloniki.